Get your dishes clean with out worrying about the chemicals in your dish soap. 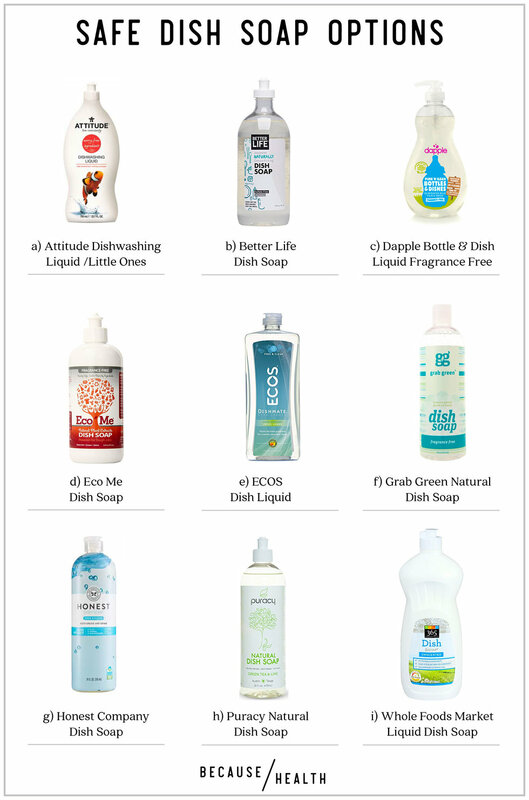 We rounded up the top 9 dish soaps without toxic chemicals that are well reviewed and easily available. You're welcome! Also, for all the dishes you choose not to hand wash, take a peek at our dishwasher detergent roundup.